Sakura in full bloom, Komaki. Today we will visit 2 castles, Komaki and Inuyama, which played key roles during the battles between Tokugawa Ieyasu and Hashiba (later Toyotomi) Hideyoshi in 1584 – the only time these men commanded armies in battle against each other. These two castles were the headquarters of the respective armies, and from each castle you can observe the other, let your eyes wander over the terrain, and let your imagination think through the “what ifs?” of a deadly chess battle. Komaki has a good museum and commands good views across the former battlefields, and on clear days the mountains that surround Aichi. On clear days in spring you can still see the snow on the peaks of the nearby alps. In addition to Inuyama Castle, you can normally see the skyscaper buildings of Nagoya, along with Kinka-san (Gifu Castle), and further to the west, Mount Ibuki. 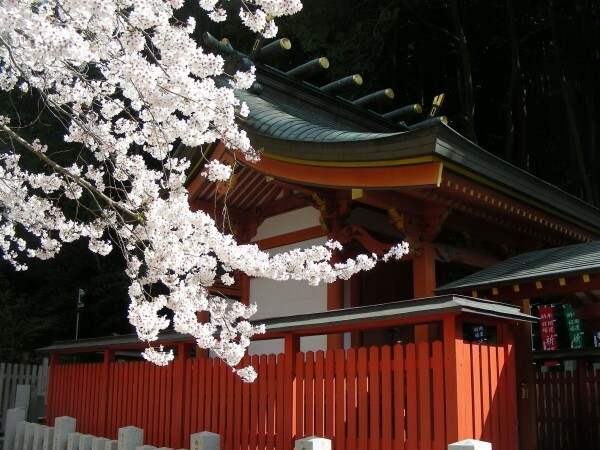 We next visit Tagata Jinja, an ancient fertility shrine, which is famous for the Hounen Matsuri, a festival that takes place March 15th year. The origins of the shrine lie in agriculture, but these days it is well known for being a place where couples (and potential grandparents) pray for conception and a safe birth. 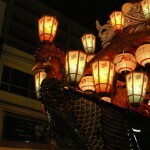 The enormous phalluses are carved from cypress, and carried through the city during the festival parade. Our next destination is a secret. And fantastic. After lunch, we will head to Inuyama Castle. This is one of only 12 surviving castles built before the Battle of Sekigahara in 1600. The main tower is a national treasure, and Japan’s second oldest. Perched high above the Kiso river, you get excellent views, so bring your camera. During the summer months, there is cormorant fishing to enjoy, but in spring we usually visit the beautiful Uraku-en garden, including the famous Jo-an Teahouse. We should have a little bit of time to explore the old streets of the castle town while we wait for sunset. There are hundreds of food stalls lining the streets and many things to see before the main parade. 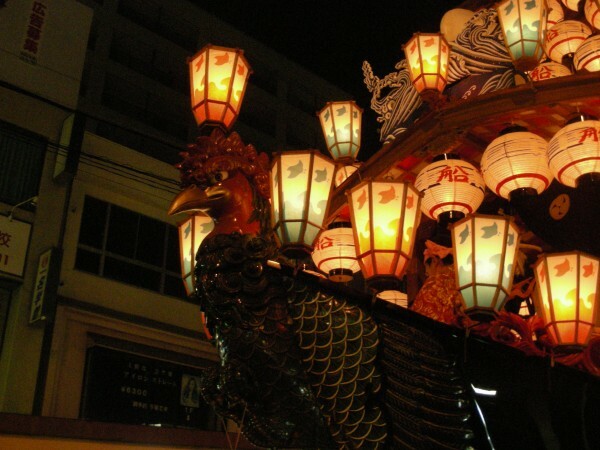 This festival features 13 enormous lantern lit floats (called yama), each of which carries musicians and a karakuri ningyou (Think of a traditional doll that is also a moving wooden robot. Master carpenters in Aichi perfected gears long before the Meiji Restoration). Each karakuri performs a dance as the yama proceeds through the streets to the shrine. 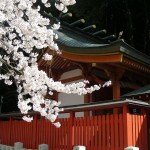 As an extra bonus, the cherry blossoms should be in full bloom, and are particularly beautiful at the shrines surrounding the castle.